From a Temple in the last post to a Church in this one. Maybe a little too much of a title, coming from me. 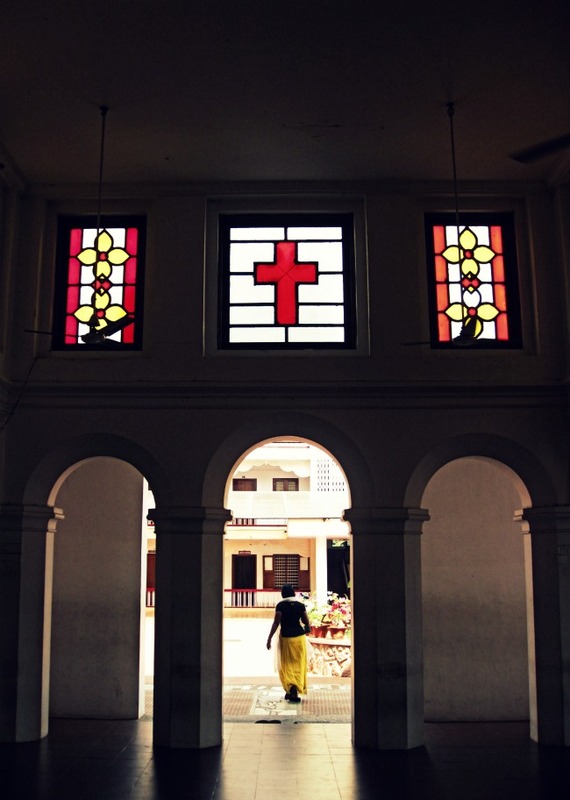 The Parumala church is a regular visit on our trips to Kerala. The church honors Saint Gregorios of Parumala, and the current church is a renovated/ rebuilt version, done entirely out of donations from those that visit the church. At the time, it was a rather expensive rebuild, at around 850 thousand dollars or more. Now, that figure is being dwarfed by churches being built in some of the richer congregations in Kerala.